Having served in the Sussex Police between 1971 and 1998, I’m often asked what part of my job I enjoyed most. In reply, I refer to the time I was a Brighton Police School Liaison Officer, (SLO) in the 70’s and 80’s. The experience was extremely rewarding and has left me with many memories. Since the late 1960’s Brighton & Hove has always had SLO’s allocated to it’s schools. One officer covering Hove, and two sharing Brighton, using the London Road as a dividing line. The forerunners to this scheme were given no special training, but were selected for their communication skills, and natural ability to gel with children and young people. Armed with a variety of self taught subjects, from Stranger Danger to History of Police, our remit was to visit on a regular basis all the schools within our designated area, with the intention of seeing as many children as possible. But when you consider that there was an estimated 9,000 children within my area alone, and a new wave of infants coming on stream each year, our task was a mammoth one. I often wonder how many of today’s adults still remember ‘PC.Collins‘ or any of my old SLO colleagues, namely PC. Armstrong, PC. Petfield, or PC. Beer. Because of the unique nature of our role, in the eyes of many children we were celebrities. Often being cheered or even mobbed as we crossed a crowded playground. Invitations to a variety of events were always in an abundance. I remember on one occasion whilst attending a Christmas dinner at Uplands School in Hollingdean, where Gary Stevens the rising star of Brighton & Hove Albion was the special guest, the queue of children for my autograph was longer than Gary’s. Unlike today where Police officers are restricted to a certain degree by specific guidelines when attending schools, the original SLO’s had far more freedom to use and inject their own personalities, ideas and imagination into a whole range of communication aspects. Modern day thinking would frown upon some of the things I did or got involved in, all under the banner of ‘Public Relations’. How many from Falmer High can remember the following incident sometime in the early 80’s when on one snowy winters day, as I entered the school grounds, I felt a thud to the back of my head and saw my helmet flying through the air having been hit by a slushy snow ball. The unknown culprit was amongst a group of lads laughing behind me. Saying nothing, I made an equally slushy snowball and returned the volley, needless to say that within seconds I was the target of a massive onslaught of both soft and some suspect hard snow balls coming from all directions via dozens of eager young hands. The fun only stopped when we ran out of snow. I entered the school building soaking wet, but happy in the knowledge that respect for the Police had on that day been raised a few more notches. To all of you who contributed towards the best days of my working life…many thanks. What a lovely piece. I am sure I remember PC Beer coming to West Blatchington Junior school (I was there from about 1970-1974). Yes, in those days we had a great deal of respect for the police and all adults in general. How times have changed. I remember PC Beer from my days at Hangleton Infants/Juniors, and totally agree with Sara’s comments. This is a great article. Oh to be back in those days again! Yes, I certainly do remember PC Collins from his many visits to either Woodingdean Middle School or Falmer, or probably even both. And no, it wasn’t me who threw the snowball! I remember he had an almost magnetic effect on the kids and they’d follow him around everywhere. Yes I remember Geoff Collins going to Woodingdean School – also I was wondering if this is the same Geoff Collins that I worked with in a shop down St James’ Street, Brighton. If so, perhaps someone could let me know. Hello Beryl. Yes, during my late teens I did work in St James’s Street in the early 60’s learning the tricks of the trade of a Tallyman, in the days of – ‘have now, pay later’ – with a firm called Alexander Sloans. Although I remember a lot from those years – and usually with a smile on my face – your name doesn’t ring any bells. Hi Geoff. Yes we did work together. My name was not Thompson then, it was Morley. I got married while working at Sloans, I remember a lot of happy memories working there. Its nice to hear from you. I used to work in the office and then I went into the shop to work. Hope to hear from you again. Hello Beryl. Are you the same young lady who showed me how to put life into a person’s eyes when drawing someone’s portrait? Also, opposite Sloans’ there was a small cafe run by an Italian woman who had working for her a young aspiring actress. Do you remember her and whether, or not, she ever succeeded? ‘Made a bow for your wedding dress’, well you do surprise me, I don’t remember that. I only worked for Sloans for about six months, and in those days I was more interested in my teenage social life than work. But then thats the beauty of ‘mybrightonandhove’, it allows you to bring the past to life. The founders of this site deserve to be very proud of themselves. In the meantime Beryl, like me, keep trawling the pages for you never know who you will meet next. All the very best to you and your family for 2010. Yes Geoff it was a long time ago, now I remember, you were with us for a very short time. It was nice to hear from you and I wish you and your family a very happy New Year. I am a Canadian writer working on my 5th book. The story of this book will take place in Brighton, in the 1960s. I have been doing a lot of research and just found a Mr. Geoff Collins, a most interesting man, who knows Brighton quite well. How can I get in touch with him. I will gladly frunish all necessary information regarding who I am, what I stand for. Editor’s note: Have passed your email address onto Geoff. It is now up to him as to whether or not he contacts you. Hi Geoff. We are having a celebration of ‘Woodingdean: Then & Now’ at the Church of the Holy Cross on Saturday 5th March and Sunday 6th March 2011. Having read your article on the local folk page, I wondered if you might like to contribute some memories to us, perhaps in person! I think I remember you coming to speak to my classes when I was a teacher at Downs Junior School in Ditchling Road during the 1980s. Hello young man, (everyone’s younger than me these days). I think you might be confusing me with my school liaison colleague, PC Bob PETFIELD. Downs Junior School was on his patch. Bob, like me, no longer lives in England. He’s currently living the life of Riley in Gibraltar. I know he doesn’t have access to the internet. I might be visiting Brighton in March, but not on the 5th and 6th. I would have loved to have contributed, ‘in person’, but as I can’t, perhaps I can in some other way. Please let me know. Geoff Collins. Thanks for your answer to my comments. Yes I do remember PC Petfield coming to the Downs. My two boys went to Woodingdean Primary School during the 80s and the eldest who is nearly 30 now remember a policeman (probably you) coming into the school. You may remember the hurricane that closed the school in 1987. If you have any particular memories of that event perhaps we could put them with some photographs of the damage that we have. Yes, it was me that attended your sons school in Woodingdean. I was a regular visitor there during the ten years that I was the School Liaison Officer for east Brighton. Woodingdean middle was always keen to promote cycle safety, so as well as offering classroom subjects, I also organised their cycle proficiency courses, which I must say, were always well attended, although one or two of the bikes were a bit ‘dodgy’, from a safety aspect I hasten to add. Woodingdean does hold lots of memories for me. Perhaps your sons may remember the Police ‘charity’ stall that I made for their school fete. As for the hurrican of ’87, I’m sorry but I cant contribute anything. In 1986 I came out of School Liaison upon being promoted to Sergeant, and then spent the remainder of my service in front line Policing. Good luck with your event. If I’m in town on the 5th and 6th, I’ll certainly come and visit. Hello Geoff, (I’m at David Smith’s house). Remember me on the motorbike? I was School Liaison in Brighton from 1994 till 2005 (retirement), but you were my skipper when you were ‘frontline policing’. I hope all is going well and will be good to hear from you. Bonjour Dave, how can I forget a Brighton colleague, especially one of three who had the same surname working the C2 Sub.Division, (which often caused problems when doing the duties and handing out any overtime). I’ve got an old photo of you and I along with the rest of our motley crew who worked on the Friday & Saturday night ‘Heavy Mob’ mobile patrols. Loads of laughs, and some ‘scary’ moments too. It would be great to hear from you. You can contact me via NARPO. Thank you for your kind comments Hayley, I’m still smiling, but for different reasons now that I’m retired. Although I must admit I do miss that period of my service for, like you, it left a lasting impression on me too. PC Collins, I can remember you visiting Woodingdean Middle whilst I was a pupil there 1979/1983. I believe myself and the kids from my time were the last to have respect for the police, it was good blokes like you interacting at ground level that kept us from knowing when to stop before we crossed the line from just naughty to borderline criminal activity – if you can understand that? The ‘stranger danger’ awareness came in very handy when I was walking past that pub on the corner just down the road from the school, I can’t remember its name (we emigrated to Australia in 1983) but it had a phone box by the little wall near the traffic light. Well, an old man (a very dodgy looking character) tried to get me in that phone box but I was able to get away. I was only 10 at the time and it was scary, but it was the knowledge from ‘stranger danger’ I believe, that helped me recognise a suss character and was able to get away. So thanks, good on ya mate. G’day young man, it’s nice to hear comments like yours. I remember a critic asking me several years ago how I could prove that my visits to schools wasn’t a waste of public money. I told her that I couldn’t, but in time several thousands of other people might be able to, lets hope she reads your comments.Thank you. Changing the subject, I’m currently writing a novel which is set in the early 19th century in the town of Grafton, NSW. ( Red Cedar country), Is that anywhere near you? Was there a Brighton Police School Liaison Officer in the early 80s called PC. Button? We had frequent visits at Whitehawk Middle School in the early 80s with lessons in the ‘Kiss of Life’, the ills of smoking, and railway safety. I well remember PC Button in the late 70s and early 80s. He was there when my children went to Whitehawk School- I think they all respected him. He was well liked. 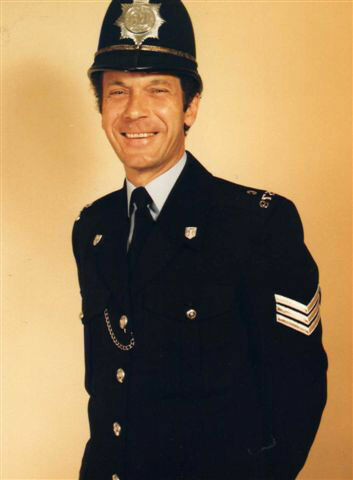 PC Dudley Button was the residential community Police Officer for Whitehawk for many years, (not the school liasion officer, that was me). Anyone living in the area would certainly have known him, one of the best old time coppers, firm, fair and friendly. PC Bob Petfield & Chris Carter (the well known Brighton runner), were the Brighton School Liaison Officers in those early days, I’m sorry but Carlton Hill Primary wasn’t one of my schools. I’ve managed to contact Bob who is now 80 and living abroad, and he tells me he has a photo which was taken many years ago in a classroom at Carlton Hill Primary school. He’s unable to put a date to it, but it is signed on the back…..’To PC Petfield from class C ‘… and has a list of all the children’s names who were in the class. The photo is on its way to the school. Hi Geoff, I am Colin Wares formerly of H A Waller & Sons Ltd. Our relationship started when you approached me to help build a float for the Brighton Carnival, my two boys Lee and Dean road on the float dressed as rag-a-muffins throwing rotten vegetables at one of you colleagues who was held in stocks, I think he was PC Green. My cousin Mike of the Puyallup Police Dept Washington U.S.A visited us and you got him to bring his uniform and arranged for him to visit a school to speak to the pupils, give a interview on radio Brighton, lunched at Lewes HQ, fired off a few rounds in the armoury, fixed him up with souvenirs from the stores and go on patrol with one of the mobile units, his visit was rounded off with an invitation to the Police Ball with his wife DeeDee. I also remember some good nights out at the Police social club in Brighton and Lewes. It was a short but very enjoyable and unforgettable part of my life in Brighton. I have retired to Devon and often return to Brighton to visit Lee. I’m Geoff’s wife – his widow. My son-in-law told me today that he had seen the latest comment by Colin Wares on Geoff’s page. I remember with great fondness Colin and his family, and what fun we had, with Colin’s help, building what was to be the first of many floats for years to come. That was 1979. Sadly Geoff died last June after a very short illness. The float Colin talks of was to commemorate 150 years of the police. Geoff and PC Harold Green were dressed as Peelers, with our five year old twins, Scott and Mikki, dressed as ‘modern day’. The ‘rogue’ in the stocks was PC Dave Rowland with, as Colin said, his two boys having a whale of a time throwing rotten veg all afternoon at their poor victim. Happy days. Hi Chrissy, I am so sorry to hear of your sad news, our association with you, Geoff and family was all too short but was a great time to remember as one of the better part of our lives. I am not sure of the circumstances that led to us to part company and go our different ways, I know Geoff got promotion which changed his role in the police and I left Wallers and bought my own business in Portslade – whatever, Pat and I will also remember with fondness those “happy days”. Hello, I am from Holland. I knew Geoff because I stayed with him and his family for a few weeks in their house in Hove in 1996. I am very sorry to hear he has died. I would like to get in contact with Chrissy, but I do not know if she wants that too. Greetings.